As was expected, last Monday’s budget speech solemnly announced a budget surplus for the first time in many years. However, the environmental deficit was, as usual, hidden between the lines. 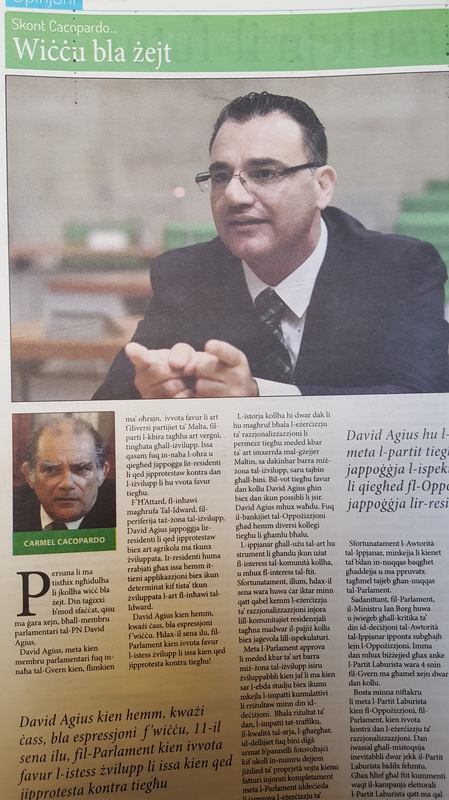 The budget is aptly titled Preparing for the Future (Inlestu għall-Futur). In dealing with environmental issues, the budget speech does not lay down clearly the path the government will be following. At times, it postpones matters – proposing studies and consultations on subjects that have been in the public domain for ages. On the subject of vacant properties, the government prefers the carrot to the stick. In order to get dilapidated and empty properties in village centres back on the rental market, it is offering a €25,000 grant to renovate such properties, but then rightly insists that, once renovated these should be made available for social housing for a minimum of 10 years. In previous budgets, various other fiscal incentives have been offered to encourage such properties being placed back on the market. After offering so many carrots, it would also make sense to use the stick by way of taxing vacant properties in situations where the owner is continuously ignoring the signals sent regarding the social, economic and environmental impacts of empty properties. The budget speech announced improvements to rental subsidies. However, it then opted to postpone the regulation of the rental market. It announced a White Paper on the subject which, when published, will propose ways of regulating the market without in any way regulating the subject of rents. In view of the currently abnormal situation of sky-high rents, this is sheer madness. It is fine to ensure that the duties and responsibilities of landlords and tenants are clearly spelt out. Does anyone argue with that in 2017? It should have been done years ago. Instead of a White Paper a Legal Notice defining clear-cut duties and responsibilities would suffice: there is no need to wait. It is, however, too much to bear when a “social democrat” Finance Minister declares that he will not even consider rent control. There are ways and means of ensuring that the market acts fairly. Other countries have done it and are still doing it, as rental greed has no preferred nationality. Ignoring this possibility is not a good omen. The market should not be glorified by the Finance Minister; it should be tamed rather than further encouraged to keep running wild with the resulting social havoc it has created. This brings us to transport and roads. The Finance Minister sends a clear message when he stated (on page 44 of the budget speech) that no one should be under the illusion that upgrading the road infrastructure will, on its own, resolve the traffic (congestion) problem. Edward Scicluna hints on the following page of his speech that he is not too happy with the current situation. He laments that the more developed countries encourage active mobility through walking, cycling and the use of motorbikes, as well as various means of public transport, simultaneously discouraging the use of the private car. However, he does not then proceed to the logical conclusion of his statement: scrapping large-scale road infrastructural projects such as the proposed Marsa flyover or the proposed tunnels below the Santa Luċija roundabout announced recently by Minister Ian Borg. These projects, like the Kappara flyover currently in its final stages, will only serve to increase the capacity of our roads. And this means only one thing: more cars on our roads. It is certified madness. While the Government’s policy of increasing the capacity of existing roads through the construction of flyovers and tunnels will address congestion in the short term, it will lead to increased traffic on our roads. This moves the problem to the future, when it will be worse and more difficult to tackle. The government is acting like an overweight individual who ‘solves’ the problem of his expanding wasteline by changing his wardrobe instead of going on a painful but necessary diet. This cancels out the positive impact of other policies announced in the budget speech such as free public transport to young people aged between 16 and 20, free (collective) transport to all schools, incentives for car-pooling, grants encouraging the purchase of bicycles, pedelec bicycles and scooters, reduction in the VAT charged when hiring bicycles as well as the introduction of bicycle lanes, as well as encouraging the purchase of electric or hybrid vehicles. All this contributes to the current environmental deficit. And I have not even mentioned issues of land use planning once. Bħalissa f’pajjiżna kulħadd irid jurina kemm għandu qalbu taħarqu għall-ambjent. Waqt il-Laqgħa Ġenerali Annwali tal-Assoċjazzjoni tal-Iżviluppaturi, fi tmiem il-ġimgħa, Sandro Chetcuti tkellem dwar il-ħtieġa li nħarsu l-ambjent, għax, qalilna, li mingħajr ma nħarsu l-ambjent ma jistax ikollna ekonomija b’saħħitha. Sadanittant fit-toroq tal-Belt il-bieraħ, wieħed mill-karrijiet tal-Karnival għandu fuqu l-ittri ODZ u ingħata l-isem : L-ambjent m’għandux futur, għax seraqulu l-kuntrattur. L-importanza tal-ambjent tirrifletti x-xewqa ta’ bosta minna li ngħixu f’armonija man-natura u dan flok ma nkunu f’konflitt kontinwu magħha. Jekk (u meta) dan jirnexxielna nagħmluh inkunu qed nagħmlu sforz ġenwin biex intejbu l-kwalità tal-ħajja ta’ kulħadd, imma l-iktar ta’ dawk li huma bla mezzi jew b’mezzi limitati. Għax il-karba tal-art hi l-ewwel u qabel kollox il-karba tal-fqir. Tul is-snin inbniet ħafna art bla ħtieġa, tant li fl-aħħar ċensiment (li sar fl-2011) ġie stabilit li iktar minn 70 elf propjetà residenzjali f’Malta u Għawdex huma vojta. Meta wieħed iqis li l-ikbar lokalità ta’ Malta, B’Kara, fl-aħħar ċensiment kien fiha 9,977 propjetà residenzjali, dan ifisser li f’Malta u Għawdex għandha żona li hi kbira 7 darbiet daqs B’Kara li hi vojta. Nistgħu nargumentaw dwar id-daqs u l-kundizzjoni ta’ din il-propjetà kollha vojta, jew dwar il-fatt li numru mdaqqas tagħha hi użata bħala akkomodazzjoni staġjonali, imma l-fatti jibqgħu dak li huma: li pajjiżna hu żgħir wisq biex nibqgħu nittolleraw din il-ħela ta’ art, l-iktar riżors skars li għandu pajjiżna. Iċ-ċokon tal-pajjiż kellu jwassal għal iktar ħsieb dwar użu razzjonali tal-art. 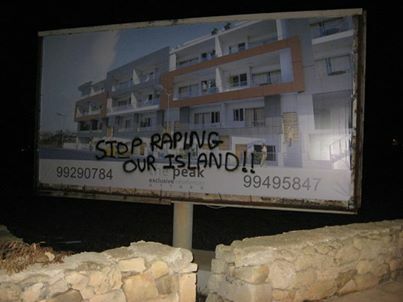 Imma minflok inħliet ħafna art, inkluż art barra miż-żona tal-iżvilupp. Mhux l-art biss inħliet. Inħlew ukoll riżorsi sostanzjali biex saru toroq kif ukoll biex twasslu s-servizzi tal-ilma, l-elettriku u drenaġġ għal dawn is-70 elf propjetà li hemm vojta. Qed jinħlew ukoll riżorsi sostanzjali biex dawn it-toroq u servizzi jinżammu f’kundizzjoni raġjonevoli. L-isfida għal pajjiżna hi waħda kbira. L-ewwel, ma nistgħux nibqgħu nibnu iżjed art. It-tieni li r-riżorsi umani fl-industrija tal-bini (hemm madwar 11,000 ruħ li l-impieg tagħhom jiddependi minn din l-industrija) jkunu imħarrġa. It-taħriġ tagħhom huwa meħtieg kemm għal xogħol fl-industrija innifisha kif ukoll biex tkun iffaċilitata l-migrazzjoni għal xogħol ieħor. Dan hu inevitabbli jekk l-industrija tal-kostruzzjoni tirridimensjona ruħha għall-ħtiġjiet reali tal-pajjiż. Huwa hekk biss li naqbdu t-triq tal-iżvilupp sostenibbli, meta inħarsu fil-bogħod u nippjanaw b’mod li dak li nagħmlu illum ma jkunx biss ta’ ġid għalina illum iżda jservi ukoll biex il-ġenerazzjonjiet ta’ għada jkollhom huma ukoll il-possibiltà li jippjanaw ħalli jilqgħu għall-isfidi l-ġodda li huma ukoll ser ikollhom. S’issa bħala pajjiż ġejna naqgħu u nqumu minn għada. Inkunu bdejna nimxu l-quddiem meta nibdew inħarsu fit-tul u nibdew nagħtu importanza lill-għada daqs kemm nagħtu importanza lil illum. Bħalissa pajjiżna għaddej minn fażi fejn kulħadd qed iħoss il-ħtieġa li jgħid li għalih l-ambjent hu ta’ importanza kbira. Dan huwa importanti ħafna, anke jekk ma jistax jitwemmen kull ma jingħad. L-importanza tal-ħidma favur l-ambjent hi rifless tax-xewqa li ngħixu f’armonija mal-eko-sistema u dan flok ma nkunu f’konflitt kontinwu magħha. Dan itejjeb il-kwalità tal-ħajja ta’ kulħadd imma l-iktar ta’ dawk li huma bla mezzi jew b’mezzi limitati. Il-ħidma tagħkom hi assoċjata ma ħsara ambjentali sostanzjali minħabba li tul is-snin inbniet ħafna art li wasslet għall-fatt stabilit fl-aħħar ċensiment ta’ il-fuq minn 70 elf propjetà residenzjali li huma vojta. Nistgħu nargumentaw dwar id-daqs u l-kundizzjoni ta’ din il-propjetà vojta, jew dwar il-fatt li numru mdaqqas tagħha hi użata bħala akkomodazzjoni staġjonali, imma l-fatti jibqgħu dak li huma: li pajjiżna hu żgħir wisq biex nittolleraw din il-ħela ta’ art, l-iktar riżors skars li għandna. Iċ-ċokon tal-pajjiż kellu jwassal għal iktar ħsieb dwar użu razzjonali tal-art. Mhux illum, iżda snin kbar ilu. Ikun inġust li nitfa f’ħoġorkom biss il-ħtija għal dan l-istat ta’ fatt. Parti kbira mill-ħtija trid tintrefa mill-partiti politiċi mmexxija miż-żewġ sinjuri li ser jitkellmu warajja li, kif iddeskriva b’mod ikkulurit l-President tagħkom, qieshom żewġ supermarkets kbar li jippruvaw iħajjrukom bl-offerti tagħhom tant li daqqa tiġru wara wieħed u drabi oħra wara l-ieħor. Offerti li tul is-snin lilkom fetħulkom il-bibien imma fl-istess ħin għalquhom għal ħafna oħrajn għax kienu l-kawża ta’ ħsara ambjentali sostanzjali f’kull rokna ta’ Malta u Għawdex. Filwaqt li tajjeb li nħarsu l-quddiem, ma nistgħux indaħħlu rasna fir-ramel, għax inkella ninsew l-abbużi w it-tmexxija ħażina li wasslu lil dan il-pajjiż fl-istat ambjentali li qiegħed illum. Kull darba li ninsew il-passat inkunu fil-periklu li jkollna repetizzjoni tal-istess żbalji ħoxnin li kienu responsabbli biex għaġnu l-preżent. Ma għandi l-ebda dubju li kull wieħed minnkom jixtieq li l-kwalità tal-ħajja tkun aħjar għal kulħadd. Tixtiequ dan, l-ewwel u qabel kollox, għall-familji tagħkom u tagħmlu sewwa. Tajjeb imma li tifhmu li l-familji l-oħra ukoll għandhom l-istess xewqat u aspirazzjonijiet. 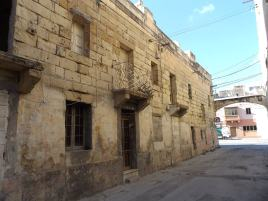 Xewqat u aspirazzjonijiet li huma maħnuqa ma’ kull biċċa raba’ li tinbela’ mill-konkos biex jinbena xi blokk flats, inkella ma kull torri (żgħir jew kbir) li jdellel iż-żoni residenzjali ta’ madwaru u dan apparti t-tniġġiż tal-arja u l-ħsejjes ġġenerati. Il-profitti ġġenerati minn dan l-hekk imsejjaħ żvilupp iħallsu qares għalih il-ġirien. Dan ma jidhirx li jitkejjel minn xi indiċi ambjentali fażull ta’ xi Università Amerikana. Il-ħolqien tal-assoċjazzjoni tagħkom kienet pass il-quddiem għax miġburin flimkien hemm ċans ikbar li tifhmu li lkoll kemm aħna qegħdin fl-istess dgħajsa. Miġburin flimkien hemm iktar ċans li titjieb l-attitudni. Huwa pożittiv li anke intom konxji li l-waħdiet fostkom li jabbużaw jagħmlu ħsara lil kulħadd, l-iktar lilkom stess, u li dawk fostkom li jimxu tajjeb b’rispett lejn il-komunità kollha fl-aħħar jagħmlu isem tajjeb għall-industrija kollha kemm hi. Huwa neċessarju li tifhmu li biex l-industrija tal-bini jkollha futur jeħtieġ li lkoll nifhmu li din trid tagħti każ tar-realtajiet ta’ madwarna: u l-ikbar realtà hi ċ-ċokon tal-pajjiż li ma jistax jibqa’ jżid il-firxa tal-bini, la fuq l-art (inkluż permezz ta’ torrijiet) u wisq inqas fuq il-baħar. Nawgura li xi darba dan tifhmuh, għax qabel ma jasal dak il-jum ma nistgħux nimxu l-quddiem. Sadanittant għandna bżonn li nsaħħu djalogu strutturat għax huwa biss b’dan il-mod li nistgħu nifhmu iktar lil xulxin. Hu għalhekk li Alternattiva Demokratika ltaqgħet magħkom u tibqa’ tiltaqa’ magħkom kull meta jkun meħtieġ. Hu inutli li nfittxu li ntejbu l-kwalità tal-ħajja ta’ dawk ta’ madwarna jekk biex naslu ngħaffġu l-kwalità tal-ħajja ta’ ħaddieħor. It-tajjeb li nixtiequ lil dawk ta’ madwarna jeħtieġ li nferrxuh mal-bqija tal-pajjiz. Għax il-familja tagħna hi ikbar minn dik bejn l-erba’ ħitan ta’ darna. Huwa biss meta naħsbu f’ din il-familja estiża li inkunu nistgħu nitkellmu dwar il-progress. Imbagħad biss jibda jagħmel sens il-paroli ma jispiċċa qatt favur l-ambjent. Fit-Times tal-bieraħ, l-ekonomista veteran Joe Consiglio jitkellem dwar taxxa fuq propjetà vojta. Dan hu sinjal tajjeb. Anzi, huwa tajjeb ħafna li ekonomisti jiddiskutu din il-materja. Tajjeb li jkun emfasizzat li Alternattva Demokratika hi l-uniku partit politiku f’Malta li tkellem u ħa posizzjoni favur taxxa bħal din. Il-proposta ta’ Alternattiva Demokratika ilha li saret 23 sena u għaldaqstant saret fil-kuntest regolatorju ta’ dak iż-żmien, lejliet l-elezzjoni ġenerali tal-1992. 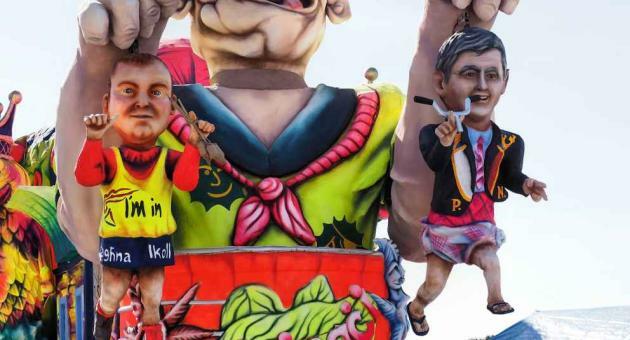 Alternattiva Demokratika, dakinnhar kienet preokkupata bl-ispekulazzjoni li kienet qed tirriżulta bħala konsegwenza ta’ propjetà li kienet qed titħalla vojta u abbandunata għal snin twal. Ftit wara, fl-1993, ġiet introdotta l-Capital Gains Tax li kienet tindirizza parti mill-problema u dan għax, jekk imħaddma tajjeb din it-taxxa tista’ tindirizza sewwa l-issue tal-ispekulazzjoni. Fl-aħħar budget il-Gvern ħoloq inċentivi (tnaqqis ta’ taxxi) biex jinkoraġixxi d-dħul fis-suq ta’ propjetà li dwarha kien hemm problemi ta’ wirt. Bla dubju dawn l-inċentivi jistgħu jnaqqsu xi ftit il-problema. F’dan il-kuntest ikun tajjeb jekk niddiskutu iktar taħt liema ċirkustanzi tkun ġustifikata li tkun introdotta taxxa fuq propjetà li titħalla vojta. L-art f’Malta hi limitata u ma nistgħux nibqgħu nużaw iktar art għall-bini, meta għad hawn min għandu propjetà mibnija u jibqa’ ma jużahiex jew ma jħallihiex tkun użata. Il-liġijiet tal-kera, li inbidlu fl-2008, illum huma iktar raġjonevoli u propjetà tista’ faċilment tinkera għal perjodu limitat sakemm sidha jkollu bżonnha. Għaldaqstant dawk li setgħu kienu raġunijiet fil-passat (li wieħed seta jifhem) biex propjetà titħalla vojta m’għadhomx jagħmlu sens. Propjetà li ma tintużax u titħalla vojta toħloq pressjoni bla bżonn biex tinbena iżjed art meta Malta ma tistax titlef iktar art għall-kapriċċ ta’ min iħalli l-propjetà tiegħu vojta. Il-pajjiż jonfoq flejjes kbar biex jiżviluppa l-infrastruttura u jagħti servizzi li fejn propjetà tibqa’ vojta jibqgħu ma jintużawx. F’artiklu li ktibt fl-Independent tal-Ħadd 11 t’Ottubru kont eżaminajt iċ-ċifri ta’ propjetà vojta li jirriżultaw minn l-aħħar ċensiment, dak tal-2011. F’Malta għandna 71,080 propjeta vojta. Minn dawn 29,848 jintużaw kulltant – probabbilment il-parti l-kbira minnhom huma villeġġatura jew ta’ sidien mhux Maltin li jkunu Malta perjodikament. Il-bqija huma vojta. Uħud vojta għal ftit żmien u oħrajn vojta fit-tul. Jekk tħalli barra l-propjetà użata bħala villeġġatura, l-ammont ta’ propjetà vojta s-sena kolla xorta jibqa’ enormi: 41,232. L-introduzzjoni ta’ taxxa fuq propjetà vojta bla dubju tħajjar ħafna mis-sidien biex jevitaw il-ħlas tat-taxxa u jsibu użu għal din il-propjetà u b’hekk tonqos il-ħtieġa li tinbena iktar art. Tajjeb li nkomplu d-diskussjoni. Malta Developers Association president Sandro Chetcuti took a good step forward this week when he said that the government should address the issue of abandoned property. It is a small step, but certainly a step forward. Alternattiva Demokratika – the Green Party – would prefer it if all vacant property is considered, and not just abandoned property. This would help reduce pressure on undeveloped land and, given that less than 70 per cent of existing dwellings are fully utilised, there is room for much improvement in this respect. Let me start by spelling out the facts, as resulting from the 2011 Census, published in 2014. In 2011, Malta and Gozo had 223,850 dwellings of which 68.2 per cent were occupied, 13.3 per cent were in use occasionally (seasonally or for a secondary use) and 18.4 per cent were completely vacant. Table 1 clearly shows that Gozo has a concentration of seasonal accommodation, whilst the actual extent of the problem of vacant dwellings is 18.4 per cent of the housing stock. Another interesting fact shown in Table 1 is that less than 50 per cent of housing stock in Gozo is occupied all year round. Additional data of interest made available by the 2011 census is that in Table 2 relative to the state of the unoccupied property, this being the total of the property which is either in occasional use or else completely vacant. A total of almost 7,000 dwelling units in shell form is substantial, even though most probably the great majority of these properties would be in shell form only for a short period of time. It would be a good step forward if Mepa were to establish a time frame within which properties under construction are to be completed. In a number of cases, a validity period of five years is too long for a development permit. Permissible completion dates should vary and a system of fines would ensure that our towns and villages are not permanent building sites and would be most welcome by our local councils. This would reduce the presence of dust resulting from building construction material and would be of considerable help in reducing the contribution of building sites to air quality. This leaves the properties requiring repairs totalling slightly fewer than 29,000. The abandoned properties referred to by Sandro Chetcuti would most probably be those in a state of dilapidation or requiring serious/extensive repairs totalling 7,000. This is the essential information on the basis of which authorities need to take a decision. It is known that most of these cases are the result of either inheritance disputes or ownership by a multitude of owners whose share has an insignificant value. Fiscal incentives to encourage the consolidation of ownership rights where such properties are concerned are most probably the best way forward. This would address the problem of a number of such properties owned by a large number of co-owners who do not consider it worth the effort to do anything, as they would end up exposing themselves to substantial expenses without any practical benefits. Reasonable action has to be taken to ensure that properties are not vacant as a result of administrative failures. Subsequently, we can consider the circumstances under which owners of vacant properties who leave such properties vacant for a long period of time should share the financial burden which the state has to shoulder to regulate and service new development. This financial burden is paid for through our taxes and it is only fair that these taxes should be shouldered by the owners of vacant properties. The environmental deficit is constantly on the increase. Each generation creates additional environmental impacts without in any way adequately addressing the accumulated impacts handed down by the previous generation. Governments are worried by economic deficits yet few seem to be worried by the accumulated -and accumulating – environmental deficit. We are using the earth’s resources as if tomorrow will never come. The Living Planet report published regularly by the World Wildlife Fund, demonstrates how the demands made by humanity globally exceed the planet’s biocapacity. In fact, each year we consume 50% more than what is produced by the planet. The ecological footprint, that is the impact which each country has on the earth’s resources, varies geographically. On a global level, the average ecological footprint of a human being is 1.7 hectares. Malta’s ecological footprint has been calculated at around 3.9 hectares per person, more than double the global average. This adds up to an impact of around 50 times the area of the Maltese Islands. 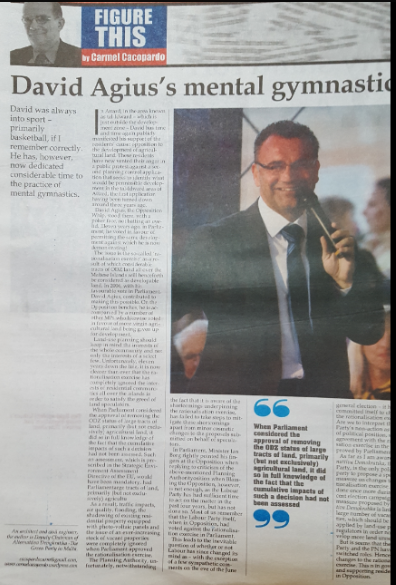 Put simply, this means that in order to satisfy the needs of each and every person in Malta we are, in fact, utilising land in other countries. In fact we import most of our requirements from other countries, thereby using their natural resources. 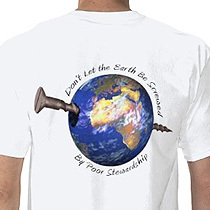 We use their air, their land, their water and their natural resources. The politics of sustainable development seeks to view and address these impacts holistically. It also considers today’s impacts in the light of tomorrow’s needs and seeks to ingrain a sense of responsibility in decision-making. It does this by addressing the root causes of the environmental deficit. Sustainable development policy understands that Maltese roads are bursting at the seams. We have reached a situation where improving the road network will improve neither connectivity nor the quality of the air we breath. 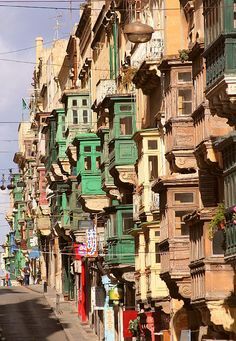 Malta’s small size should have made it easy ages ago to have excellent connectivity through public transport, with better air quality as a bonus. But it was ignored. A sustainable water policy in Malta would have dictated better utilisation of rainwater. Instead, we spend millions of euros- including a chunk of EU funds- to ensure that instead of collecting rainwater we channel it straight into the Mediterranean Sea, only to harvest seawater immediately through our reverse osmosis plants. To make matters worse, we treat wastewater before dumping it into the sea when, with some extra thought (and expense) it would have been put to much better use. Sustainable development embedded in our land use policy would lead to a substantial reduction in the land available for development and certainly to a strict ODZ protection protocol. Instead, we are faced with a situation resulting in a high number of vacant properties coupled with a nonchalant attitude to developing more agricultural land, as if we had a lot to spare! The environmental deficit which has been accumulating over the years places us in a very precarious position as we cannot keep living on ecological credit for long. Excessive ecological credit will inevitably lead to ecological bankruptcy from which neither the EU nor the International Monetary Fund will be able to bail us out. The only solution is taking our environmental responsibilities seriously, before it is too late. They call it business sense. They do not realise that at times it is also environmental nonsense. On MEPA’s website there is a link named Businessense. More efficiency. Less bureaucracy. Among the measures which are being labelled as being ones which make business sense the reduction of development permit fees tops the list. Now there are instances where it makes sense to reduce and at times even eliminate completely the payment of development permit fees. Among the examples which come to mind are restoration works in Urban Conservation Areas and Scheduled properties. The reason for such reduction/elimination of fees is the need to encourage business to ensure that properties worth preserving are in fact restored and utilised. It is a way to channel investment in the preservation of our heritage by ensuring that our past has a future. A blanket reduction of development permit fees is however environmental nonsense. The aim of development permit fees is not just to recover the costs incurred in the processing of planning applications. Development permit fees also serve another purpose: to encourage or discourage building activity. In the present circumstances, that is with over 72,000 vacant properties (including those used partially for seasonal accommodation) there is no need to encourage building activity. The reduction of development permit fees by MEPA thus makes neither business nor environmental sense. It is rather classified as utter nonsense. Dalgħodu Alternattiva Demokratika indirizzat konferenza stampa dwar il-bini li beda fl-area tal-Mirakli ġewwa Ħ’Attard fuq art li sal-2006 kienet barra miż-żona tal-iżvilupp. Il-krew tal-PBS x’ħin kienu fi triqithom għal din il-konferenza kienu mhedda minn persuni li kienu qed jaħdmu fuq is-sit ta’ kostruzzjoni li dwaru saret il-konferenza stampa. Ara r-rapport tal-PBS hawn. L-ammont ta’ proprjetajiet residenzjali vojta hu sinjal ta’ twissija. Bi 72,150 unit residenzjali vojt ma nistgħux nibqgħu nibnu iżjed art li sa ftit ilu kienet barra miż-żona ta’ żvilupp. Hekk qal Carmel Cacopardo, Deputat Chairperson u kelliemi ta’ Alternattiva Demokratika għall-Iżvilupp Sostenibbli u l-Intern, fl-inħawi Tal-Mirakli f’Ħ’Attard huwa u jindirizza konferenza stampa dwar il-pjani lokali u r-razzjonalizzazzjoni tal-iskemi ta’ żvilupp. Il-konferenza stampa saret quddiem medda art li saret skedata għall-bini bħala riżultat tal-proċess ta’ razzjonalizzazzjoni li l-Gvern immexxi mill-PN wettaq fl-2006. Din l-art sa dakinnhar kienet parti minn “green belt” . Fuq din l-art fit-18 ta’ Lulju 2013 il-MEPA ħarġet permess biex jinbnew 24 garage u store fil-basement u 19 il-unit residenzjali fil-ħames sulari l-oħra (6 maisonettes, 9 flats u 4 penthouses).